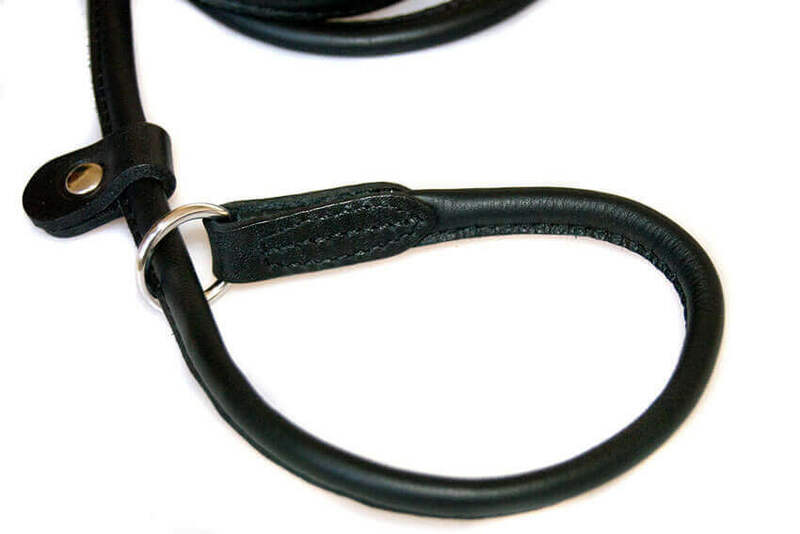 Our rolled gundog style slip leads are hand made to the highest standard from the finest quality soft black leather over durable lightweight braided cord. Easy and quick to slip over your dog's head with strong leather 'stopper' that makes it easy to adjust the collar size, prevent it getting too loose and the dog slipping out. 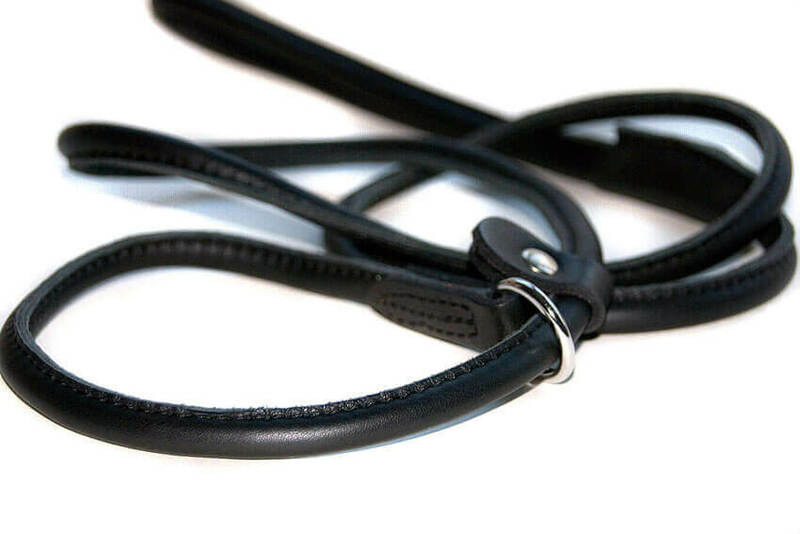 Lightweight and smooth in your hands Dog Moda's leather slip dog leads are the ultimate in luxury and comfort, easy to clean and will fit in your pocket or training bag. Rolled leather design reduces friction and will not damage the coat. 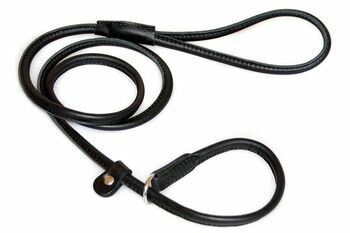 Overall a top quality black leather dog leads at a great price. This black rolled leather dog lead measures 6mm in diameter and is 1.5 meter / 5 ft long and is available in black, brown, and white leather.